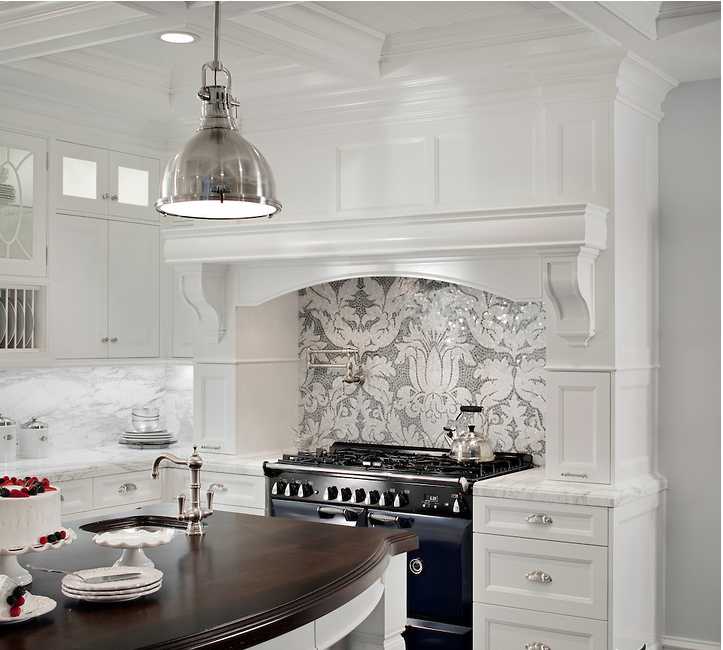 One of my favorite color combinations is blue and white. 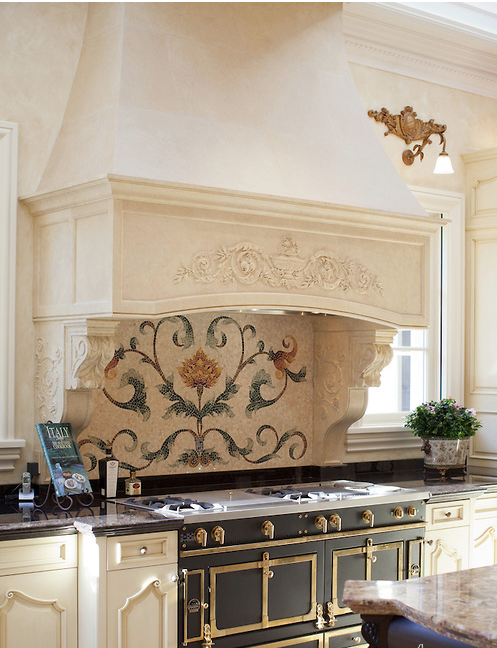 There is nothing more striking than using it as an accent in the kitchen. 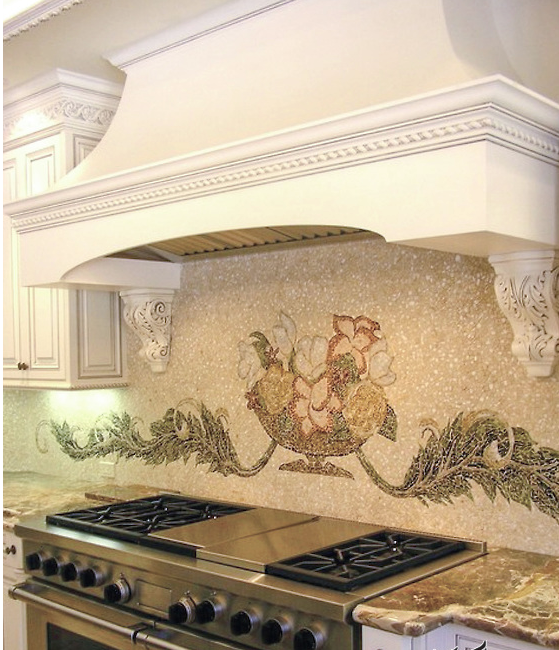 One of my all time favorites is this design from New Ravenna Mosaics. 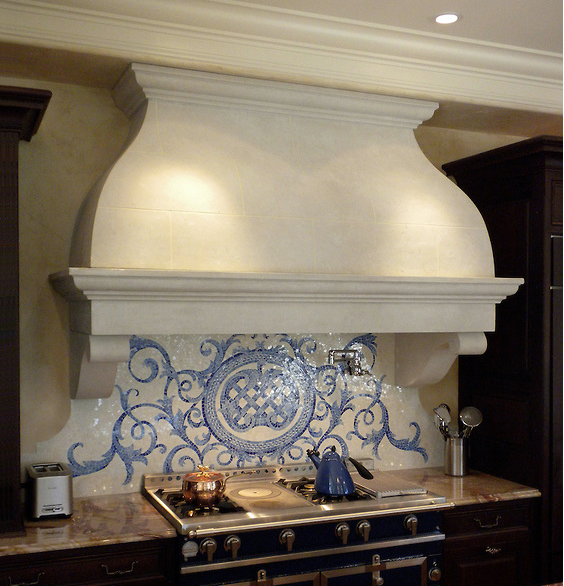 I am planning on using something very similar in a kitchen renovation. 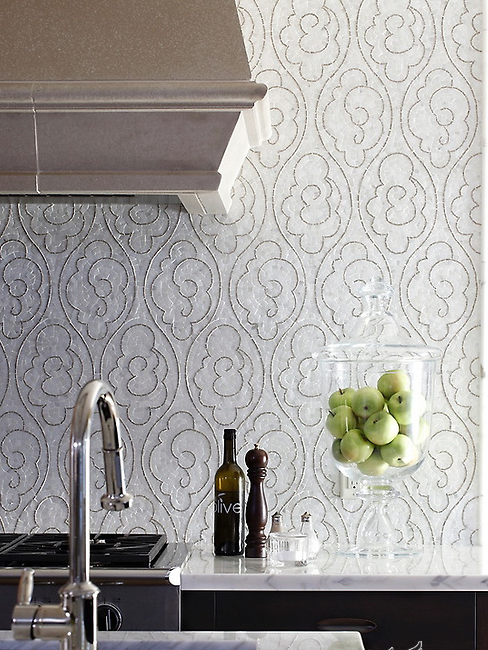 New Ravenna is design eye candy. Their designs are breathtaking to say the least. 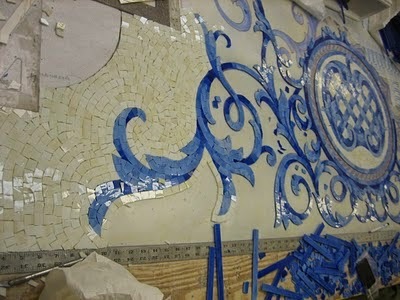 Here is a close up of the intricate tile work, created by master craftsman and artists. Isn't it amazing? It is truly a work of art. 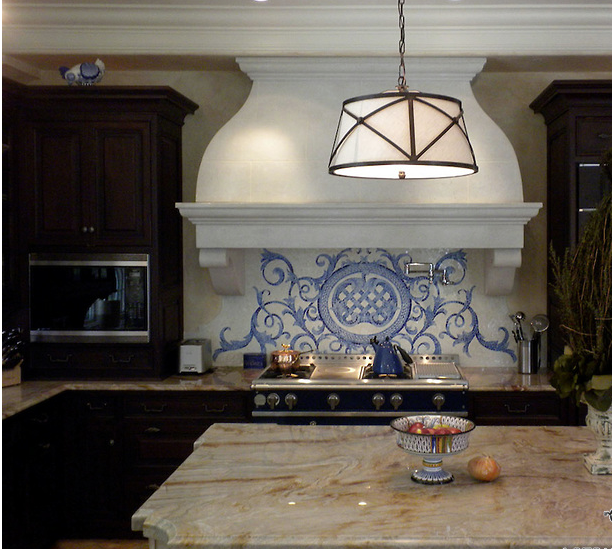 And because the design is so traditional and beautiful I am quite sure I wold never tire of it. 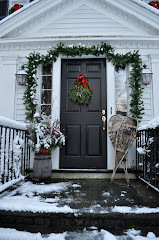 Although I am more of a traditionalist, I am also enamored with the photo above I found on Pinterest. 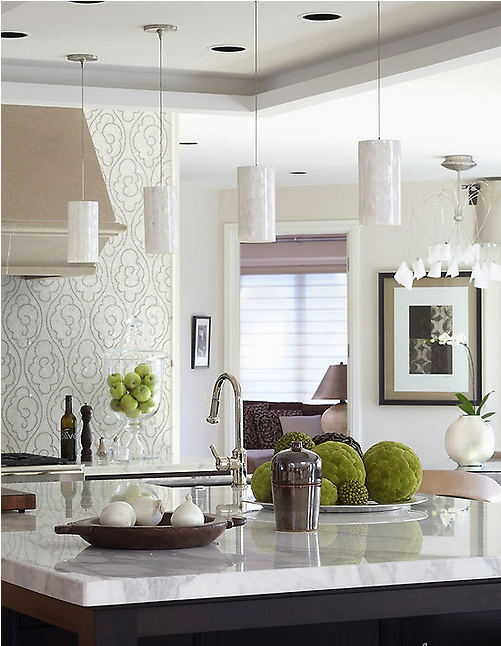 I love the modern design of the tile, which becomes the focal point and artwork in this kitchen. 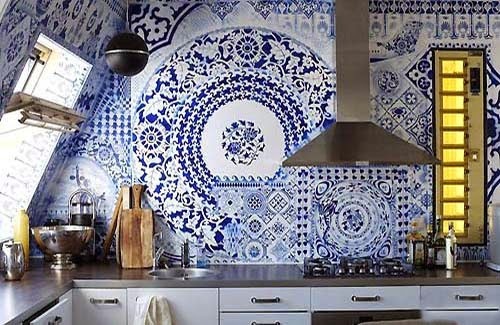 I love how different tiles are mixed to create a very striking result. Beautiful, but over time I think I would tire of it. 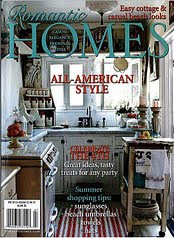 I am more inclined to stay with a classic or neutral palette. 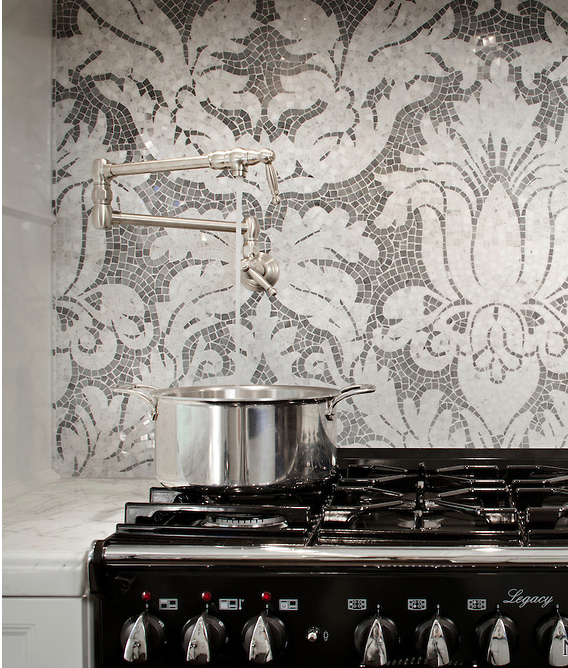 This gorgeous backsplash, also a creation of New Ravenna, is breathtaking and very neutral, which I prefer. 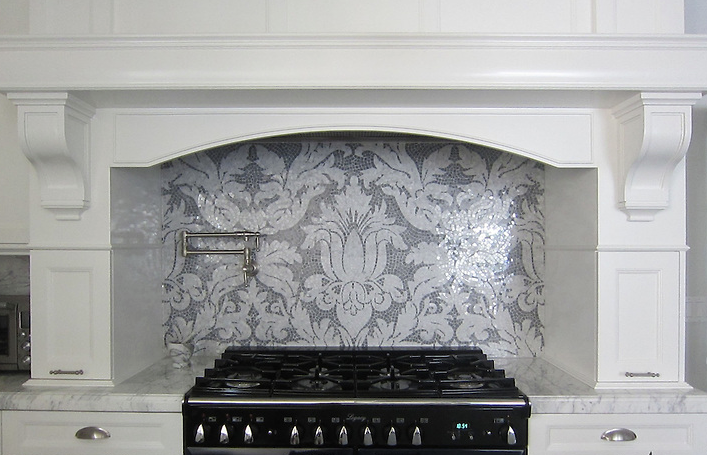 Tile can be a big expense and a more permanent part of a renovation, so I like to choose more timeless designs. This design would never grow old or dated. It is stunning. But my heart remains with the more serene styles. This particular one is a favorite for more modern applications. Here is a close up, notice how translucent the tile is; it almost glows. I hope you love these inspiration photos as much I do. 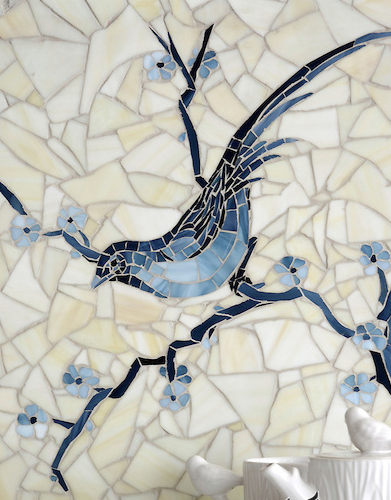 To see many more stunning tile applications from New Ravenna, including many beautiful baths and floors click HERE. For more inspiration please click HERE to follow me on Pinterest where I have thousands of images and folders all organized to help you with your design projects. Click HERE to follow me on Twitter. Finally, never miss a post by getting them delivered to your email - sign up above in the right corner. Wishing you all a wonderful New Year, and looking forward to sharing the year ahead with you!